The restoration of the Kangaroo grass Themeda australis grasslands (left) above this beach was the start of Reefcare community volunteers activities in 1997. 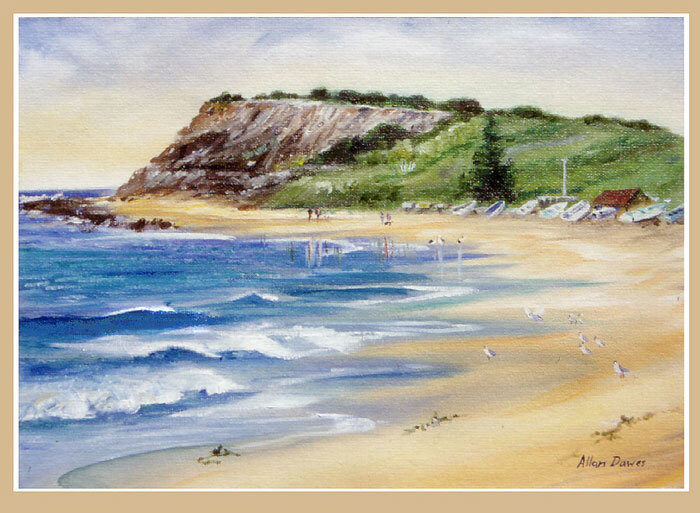 For a complete History of Fisherman’s Beach see our Fishermen’s Huts 1870s Page. Fishermen’s boats, old winches and the last of the fishermen’s huts. 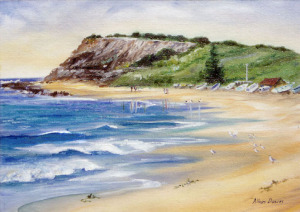 These are a popular backdrop used by channel 10’s weather report, movies and TV shows such as the series Home and Away. 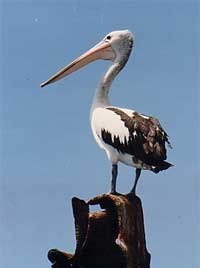 A Fishery’s Information board and display on Long Reef’s Aquatic Reserve and marine animals is located above the beach – the start for Rock Platform walks conducted by Fishcare volunteers. The Greenlink walk passes these signs and proceeds up the hill through the native Kangaroo grassland to the headland. 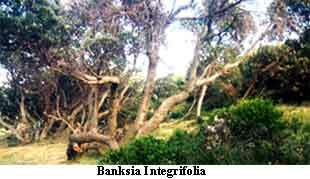 You will see Coastal Banksia Integrifolia (above right) and Golden Guinea flowers, Hibbertia vines estimated at least 100 years of age. Sixty-two native species grow on Long Reef. Of special interest to visitors are the remnant Themeda australis grasslands. 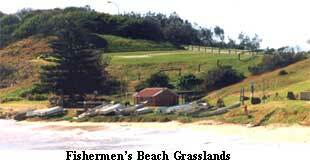 Fisherman’s beach and areas on Long Reef Golf course contain Warringah’s only example of this native grassland vegetation occurring on clay soils. Pimelea linifolia – dwarf sub species only 15cm high. Astroloma humifusum – Cranberry Heath. Tricoryne – This Rush-lily is a Long Reef species not yet identified. 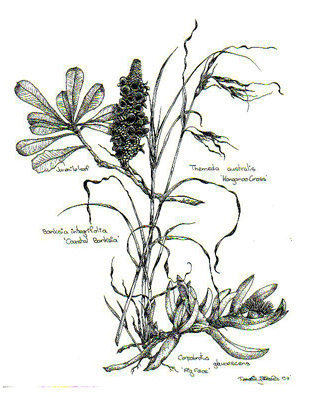 Lomandra fluviatilis – a grass like herb. Sand couch Sporobolus virginicus is a grass with buried rhizomes or runners which grows in the sand on Fisherman’s beach down to the high water mark. It is an excellent sand stabiliser and is found growing between the fishermen’s “tinnies” on the beach. 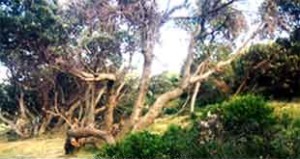 A small remnant subtropical rainforest exists in the rich clay soil above Fisherman’s beach. Many vines are present including the Beach Bean Canavalia maritima which grows in Queenslandand down as far as Long Reef. At right is a beautiful drawing of a few of the species found at Fisherman’s beach. 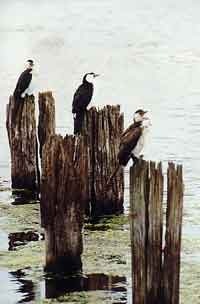 Birds seen at Fisherman’s beach are Pelicans (left) who frequent the shore area. On the rock platform Sooty Oystercatchers, White–faced Herons and Pied Cormorants (right) can be seen.